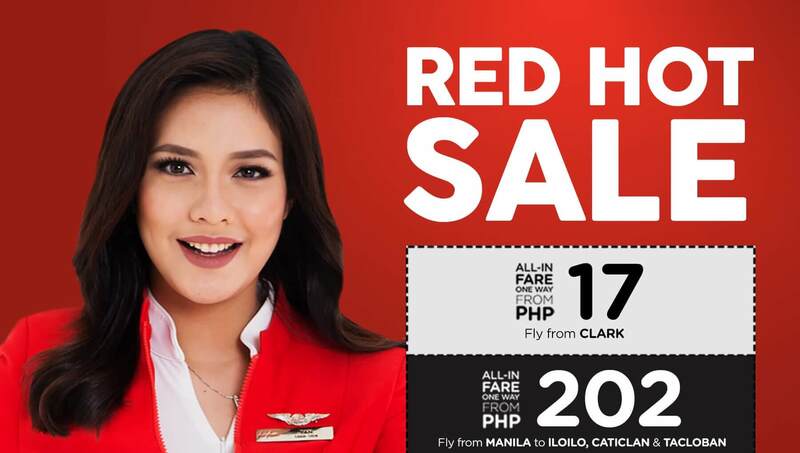 Book seats via airasia.com or the AirAsia mobile app from September 11 to September 17, 2017 for travel between March 1 to November 21, 2018 to get fares from as low as P17 for flights from/to Manila, Clark, Cebu, Davao, Palawan, Bohol, Kalibo, Caticlan/Boracay, Tacloban and Iloilo. Also up for grabs from as low as P1,290 are promotional flights to international destinations from the Philippines to Taipei, Kuala Lumpur, Kota Kinabalu, Incheon/Seoul, Canton/Guangzhou, Shanghai, Macau, Singapore and Hong Kong. AirAsia is set to fly between Manila and Iloilo starting October 1 while direct flights between Davao and Kuala Lumpur will commence on December 21. Promotional flights from the AirAsia group’s hub in Kuala Lumpur to Australia, Japan, Maldives and other destinations are also available. BIG Members get to enjoy priority access and will be able to make bookings on airasia.com and redeem flights starting from 0 BIG Points, exclusively via the BIG Loyalty mobile app from September 10, 2017. It’s free to sign up as a BIG Member via airasia.com, airasiabig.com or BIG Loyalty mobile app to redeem promo flights during this promotion. For latest updates on promotions and activities, please follow AirAsia on Twitter and Facebook (Facebook.com/AirAsia).